in the ICC Women’s World T20 on Sunday. an easy 7-wicket victory over arch-rivals Pakistan in the ICC Women’s World T20 on Sunday. which was marred by unprecedented docking of 10 penalty runs on Pakistan. during their innings on account of their batswomen running on the danger area of the pitch during their innings. India chased down the target of 134 with six balls to spare, reaching 137 for 3 in 19 overs. 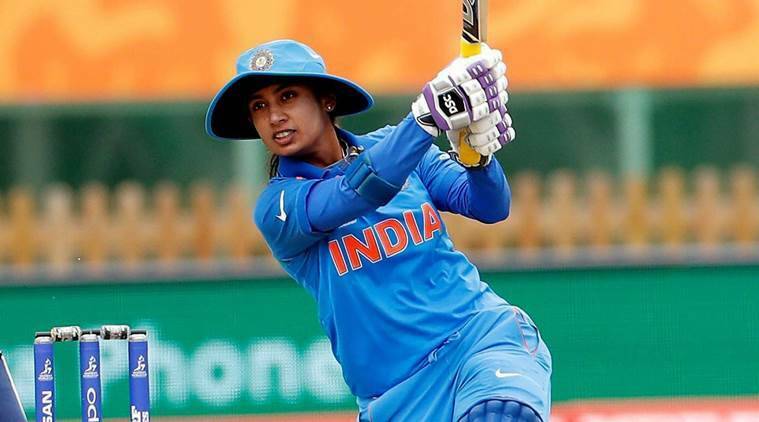 With the win on Sunday, India (with four points) made a big step towards making it to the semifinals from the five-team Group B.
India made a strong start with openers Raj and Smriti Mandhana (26) finding the boundaries at regular intervals in their 73-run stand from 9.3 overs. Mandhana fell to Bismah Maroof with Omaima Sohail taking a superb catch at deep square leg. caught and bowled by Nida Dar in the 15th over. the duo stitched 93 runs for the fourth wicket to take their side to a competitive total. by having Ayesha Zafar caught at the slips by Veda Krishnamurthy for nought in the final delivery of the first over. worse situation had Smriti Mandhana not dropped captain Javeria Khan in the third over. But two run-outs in the space of three overs gave India the upper hand. while captain Javeria witnessed the same fate in the seventh over after a mixed-up. Pakistan were on the ropes but India allowed them to gain grounds by having three dropped catches. All the three were regulation catches. Veda Krishnamurthy dropped Nida Dar while on 15 in the 11th over. Poonam Yadav dropped the same batswoman in the 13th over when she was on 23. The next over, Poonam made a mess of a Bismah Maroof skier as she completely misjudged the trajectory of the ball. but the sloppy Indian fielding allowed their two batswomen Dar and Maroof to gain in confidence. The Pakistani duo began to hit boundaries at regular intervals and both reached to their fifties towards the end of the innings. Maroof was the first to reach to her fifty in the 17th over while Dar did the same in the next over. But both were out in the same 19th over in the space of three balls with Dayalan Hemalatha picking the two wickets. that of Aliya Riaz (4) and Sana Mir (0). Pakistan were penalised for five runs twice during their innings for their batswomen running on the danger area. Thus, 10 runs were added to India’s innings when they come out to bat.